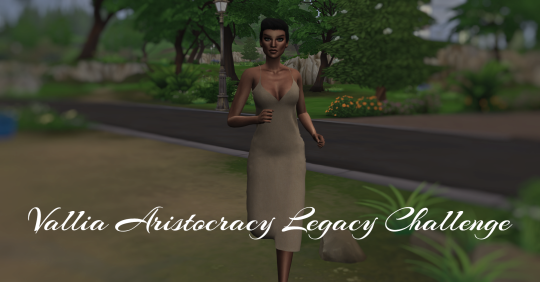 Hi guys, so i have decided to take an attempt at The Sims 3 Modern Aristocracy challenge which was created by simnovels. So i chose Willows Creek as the Main setting. The next step was to choose five families who will be the aristocratic famillies. Introducing my founder: Shiobhan Vallia . She is the daughter of a verry old noble familie who’s members got executed during a rebbelion in her home land. Luckily Shiobhan was able to flee her country and ended up in Willow Creek. She is determined to restore the lost glory and wealth of her family name and create a strong aristocrat legacy in this new and unfamiliar land. Her traits are Bussines Savy, Selfabsorbed, Materialistic and Romantic. Her LTW is Fabously Wealthy and she’ll be a self-employed painter who will be gaining famepoints. “GETFAMOUS”. She will be living on the Oakenstead lot which was luckily left in her possesion by a distant relative, there she will be building up House Vallia from the ground up. First post up here !! !